The outer packaging is the key image of a product. For visual people like us, the first thing we focus on is the outer packaging appearance. We can see that, with the era of health coming, the soda water’s market has reached to a new level. 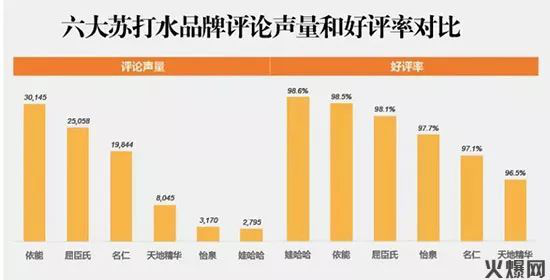 If we search on some major e-commerce platform, we will find that there are more than 30 soda water brands entering the market. How could Watson get second ranked on rating and sales volume? Gurki has recommended a “killer” to improve their products’ appearance. The products that Watsons manages are all-inclusive. Those foods and drinks from all over the world were deeply loved by male customers, of which one is our protagonist – Watson Soda Water. In order to make this product impeccable, Gurki recommended our Automatic frontal feeding sleeve sealing and shrinking machine GPL-6030Z+GPS-6040 which can prevent moist and dust also can make product look better. 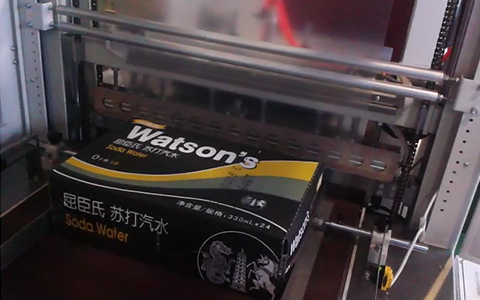 The device satisfies the secret of not requiring full sealing on both sides of the beverage box, and the film on both sides is shrunk and neat, so that the soda water’s package can not only prevent moisture, corrosion, impact, protect the label, but also looks more beautiful. The cuff-style package is equipped with a press device. For items that are lighter in packaging, there will be no shifting. Additional function, when the consumer is carrying the product, when the hand is sour or slipping, they can also grab the shrinked film on both sides of the cuff, so that the gravity is buffered to avoid breaking the product.